You are required to pay the first term’s fees plus the bond before or at registration. The University reserves the right to refuse to register students without the required payment, in cleared funds. Please do not bring cash or cheques, unless bankers drafts, to registration. You can pay by debit or credit card on the day. We are happy to deduct one quarter of the tuition fee loan if you bring original documents to registration confirming the award or the University has received confirmation direct from the Student Loan Company. The remainder must be paid in full, on or before the date of registration. You should not rely on maintenance loans to meet the shortfall in your tuition fees: you will not receive these funds until after you have registered. Visit the University’s Grants and Loans information for more information about eligibility for financial assistance. Travelex Wire Transfer – payments can be made to the University directly from your local bank in your local currency and because Travelex deal with the currency exchange, only one exchange fee is charged. Credit or debit card – payments can be made directly to the University by credit or debit card. We accept Visa or Mastercard. To assist us in crediting the correct account, the student’s family name and application number (in that order) should be the reference entered in “payment details (information for the beneficiary)” or equivalent. If any other narrative is given we tend not to receive the student’s name since your bank will generally transmit only the first few words of reference information. We regret that we are not able to accept cheques or drafts drawn on overseas banks from applicants, because of the slowness of the international clearing system. Please note: students paying by personal cheque need to make payment at least five working days before they intend to register to allow time for the payment to clear the banking system. Personal cheques cannot be accepted at Registration. You can pay cash or UK cheques directly into the University’s account (see above) at any branch of a UK bank. It is essential that you bring the receipted paying-in slip to the Student Fees Office, so that we know whose account to credit. The bank advice says only where an amount is paid in, not what it is for. For reasons of security of students and staff, and of insurance, the Student Fees Office does not accept payment in cash. If the funds for your fees are held in cash, you are asked to pay the money directly into our account, as described above. 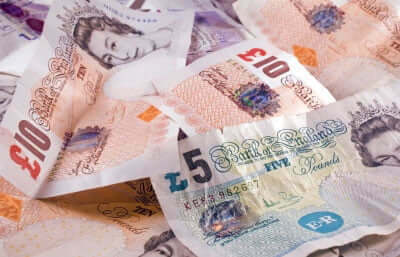 If you are considering bringing cash into the UK, please be aware that amounts over £10,000 in cash are required by law to be accompanied by documentation demonstrating their legitimate origin. For more information please visit: https://www.gov.uk/bringing-cash-into-uk.